I study the late prehistoric societies of Iran and the Arabian Peninsula from the Neolithic to the Iron Age. This period witnessed the development of agriculture and the establishment of early sedentary communities, eventually leading to the development of complex, stratified societies that were linked into long-distance economic and cultural contacts across the ancient Near East. My research involves multi-disciplinary, collaborative approaches incorporating field survey, excavation, archaeometric studies, and palaeo-environmental reconstructions to understand past human adaptation and resilience. I am particularly interested the development of metal production and exchange systems in the ancient Near East. This region was one of the heartlands of early metal technology, and from the Neolithic period onwards we can trace the evolution of complex metal extraction systems and the increasing significance of metals in ancient society. I am happy to supervise graduate research students (Honours and PhD) on topics related to Near Eastern Archaeology, particularly in my geographical and chronological areas of expertise (Arabia, Iran, ancient technologies). I encourage potential applicants to contact me directly to discuss opportunities. Weeks, L.R. 2003. Early Metallurgy of the Persian Gulf: Technology, Trade, and the Bronze Age World. Boston: American School of Prehistoric Research and Brill Academic Publishers. Weeks, L.R. and J.C. Watson. 2013. Proceedings of the Seminar for Arabian Studies vol. 43. Oxford: Archaeopress. Weeks, L.R. 2010. Death and Burial in Arabia and Beyond: Multidisciplinary Perspectives. 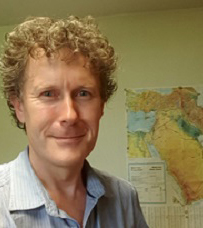 Oxford: Archaeopress and the Society for Arabian Studies. Society for Arabian Studies Monographs No. 10. Potts, D.T., K. Roustaei, C.A. Petrie and L.R. Weeks. 2009. The Mamasani Archaeological Project Stage 1: The ICHTO/Sydney University Archaeological Research Project in the Mamasani Region, Fars Province, Iran. Oxford: Archaeopress. Simpson, St. J. and L.R. Weeks. 2008. Proceedings of the Seminar for Arabian Studies vol. 38. Oxford: Archaeopress. Simpson, St. J. and L.R. Weeks. 2007. Proceedings of the Seminar for Arabian Studies vol. 37. Oxford: Archaeopress. Weeks, L., C. Cable, K. Franke, C. Newton, S. Karacic, J. Roberts, I. Stepanov, H. David-Cuny, D. Price, R.M. Bukhash, M. Boraik Radwan and H. Zein. 2017. “Recent archaeological research at Saruq al-Hadid, Dubai, UAE.” Arabian Archaeology and Epigraphy 28: 31-60. Khosrowzadeh, A., A. Aali and L. Weeks. 2017. “Newly Discovered Bronze Age Archaeological Sites on Qeshm Island, Iran”. IRAN 55/2: 120-142. Weeks, L. 2016. “Iran and the Bronze Age metals trade in the Persian Gulf”. International Journal of the Society of Iranian Archaeologists 2/3: 13-25. Jones, M.D., M. Djamali, J. Holmes, L. Weeks, M.J. Leng, A. Lashkari, K. Alamdari, D. Noorollahi, L. Thomas and S.E. Metcalfe. 2015. “Human impact on the hydroenvironment of Lake Parishan, SW Iran, through the late Holocene”. The Holocene 25: 1651-1661. DOI: 10.1177/0959683615594242. Morteza Djamali, M.D. Jones, J. Migliore, S. Balatti, M. Fader, D. Contreras, S. Gondet, Z. Hosseini, H. Lahijani, A. Naderi, L.S. Shumilovskikh, M. Tengberg and L. Weeks. 2015. “Olive cultivation in the heart of the Persian Achaemenid Empire: new insights into agricultural practices and environmental changes reflected in a late Holocene pollen record from Lake Parishan, SW Iran.” Vegetation History and Archaeobotany: 1-15. DOI 10.1007/s00334-015-0545-8. Rouse, L.M. and L.R. Weeks. 2011. “Specialization and social inequality in Bronze Age SE Arabia: analyzing the development of production strategies and economic networks using agent-based modelling”. Journal of Archaeological Science 38, 1583-1590. Webb, K., E. Faber and L. Weeks.2011. “Electron Microprobe Analysis of Red Painted and Slipped Ceramics from Chocolá, Guatemala - an Initial Investigation of the Pigments and Methods of Application”. Old Potter’s Almanack 16: 4-9. Weeks, L.R., E. Keall, V. Pashley, J. Evans and S. Stock. 2009. “Lead isotope analyses of Bronze Age copperbase artefacts from Al-Midamman, Yemen: towards the identification of an indigenous metal production and exchange system in the southern Red Sea region”. Archaeometry 51/4: 576-597. Weeks, L.R. 2008. “The 2007 early Iranian metallurgy workshop at the University of Nottingham”. Iran 46: 335-345. Weeks, L.R., K. Alizadeh, L. Niakan, K. Alamdari, A Khosrowzadeh, B. McCall and M. Zeidi. 2006. “The Neolithic Settlement of Highland SW Iran: New Evidence from the Mamasani District”. Iran 44: 1-31. Potts, D.T., K. Roustaei, K. Alamdari, K. Alizadeh, A. Asgari Chaverdi, A. Khosrowzadeh, L. Niakan, C.A. Petrie, M. Seyedin, L.R. Weeks, B. McCall and M. Zaidi. 2006. “Eight thousand years of history in Fars Province, Iran”. Near Eastern Archaeology 68/3: 84-92. Weeks, L.R. 2004. “An analysis of Late Pre-Islamic copper-base artefacts from Ed Dur, U.A.E.” Arabian Archaeology and Epigraphy 15: 240-252. Weeks, L.R., M. Morris, B. McCall and K. Al-Zubairy. 2002. “A recent archaeological survey on Soqotra. A report on the preliminary expedition season, January 5th-February 2nd 2001”. Arabian Archaeology and Epigraphy 13: 95-125. Magee, P., E. Thompson, A. Mackay, P. Kottaras and L. Weeks. 2002. “Further evidence of desert settlement complexity: Report on the 2001 excavations at the Iron Age site of Muweilah, Emirate of Sharjah, United Arab Emirates”. Arabian Archaeology and Epigraphy 13: 133 –156. Weeks, L.R. 2000. “Copper, Bronze and Iron Objects in the Sharm Tomb”. Arabian Archaeology and Epigraphy 11/2: 180-98. Weeks, L.R. 1999. “Lead Isotope Analyses from Tell Abraq, United Arab Emirates: New Data Regarding the ‘Tin Problem’ in Western Asia”. Antiquity 73/279: 49-64. Potts, D.T. and L.R. Weeks. 1999. “An AMS Radiocarbon Chronology for the Late Umm an-Nar-Type Tomb at Tell Abraq”. Tribulus 9/1: 9-10. Weeks, L.R. 1997. “Prehistoric Metallurgy at Tell Abraq, United Arab Emirates”. Arabian Archaeology and Epigraphy 8: 11-85. D.T. Potts, L.R. Weeks, P. Magee, E. Thompson and P. Smart. 1996. “Husn Awhala: A Late Prehistoric settlement in southern Fujairah”. Arabian Archaeology and Epigraphy 7: 214-239. Weeks, L., E. Faber, D. Goodburn Brown, J. Zhao, A.D. Nguyen and Y. Feng. Submitted (to appear 2018). “Qarn al-Harf Metal Artefacts and Archaeometallurgical Analyses”, in D. Kennet (ed. ), Excavations at Qarn al-Harf. Weeks, L.R. 2014. “Arabia”. Pages 1596-1616 in C. Renfrew and P. Bahn (eds), The Encyclopaedia of World Prehistory. Cambridge: CUP. Weeks, L.R. 2013. “The development and expansion of a Neolithic way of life”. Pages 49-75 in D.T. Potts (ed. ), The Oxford Handbook of Ancient Iran. Oxford, OUP. Weeks, L.R. 2013. “Iranian metallurgy of the 4th millennium BC in its wider technological and cultural contexts”. Pages 277-292 in C.A. Petrie (ed. ), Iran and its Neighbours in the Fourth Millennium. Oxford: Oxbow. Jones, M., M. Djamali, L. Stevens, V. Heyvaert, H. Askari, D. Noralahie and L. Weeks. 2013. “Mid-Holocene environmental and climatic change in Iran”. Pages 25-34 in C.A. Petrie (ed. ), Iran and its Neighbours in the Fourth Millennium. Oxford: Oxbow. Petrie, C.A., A. Sardari, R. Ballantyne, M. Berberian, C. Lancelotti, M. Mashkour, B. McCall and L.R. Weeks. 2013. “Mamasani in the 4th millennium BC”. Pages 171-194 in C.A. Petrie (ed. ), Iran and its Neighbours in the Fourth Millennium. Oxford: Oxbow. Weeks, L.R. 2013. “The Neolithisation of Fars”. Pages 97-107 in R. Matthews and H. Fazeli Nashli (eds), The Neolithisation of Iran: the Formation of New Societies. Oxford: BANEA and Oxbow Books. Weeks, L.R. 2012. “Metallurgy”. Pages 295-316 in D.T. Potts (ed. ), A Companion to the Archaeology of the Ancient Near East. New York: Blackwells. Weeks, L.R., C.A. Petrie and D.T. Potts. 2010. “Ubaid-related-related? The ‘black-on-buff’ ceramic traditions of highland southwest Iran”. Pages 245-276 in R.A. Carter and G. Philip (eds), The Ubaid and Beyond: exploring the transmission of culture in the developed prehistoric societies of the Middle East. Chicago: University of Chicago Oriental Institute Publications. A. Asgari Chaverdi, A. Khosrowzadeh, B. McCall, C.A. Petrie, M. Seyedin, L.R. Weeks and M. Zeidi. 2010. “Archaeological Evidence for Achaemenid Settlement within the Mamasani Valleys, Western Fars, Iran”. In J. Curtis and St. J. Simpson (eds. ), The World of Achaemenid Persia. London: I.B. Tauris. Weeks, L.R., K. Alizadeh, L. Niakan, K. Alamdari, A Khosrowzadeh and M. Zeidi. 2009. “Excavations at Tol-e Nurabad”. Pages 31-88 in D.T. Potts, K. Roustaei, C.A. Petrie and L.R. Weeks (eds), The Mamasani Archaeological Project Stage 1: The ICHTO/Sydney University Archaeological Research Project in the Mamasani Region, Fars Province, Iran. Oxford: Archaeopress. D.T. Potts, K. Roustaei, L.R. Weeks and C.A. Petrie. 2009. “The Mamasani district and the archaeology of southwestern Iran”. Pages 1-16 in D.T. Potts, K. Roustaei, C.A. Petrie and L.R. Weeks (eds), The Mamasani Archaeological Project Stage 1: The ICHTO/Sydney University Archaeological Research Project in the Mamasani Region, Fars Province, Iran. Oxford: Archaeopress. C.A. Petrie, L.R. Weeks, D.T. Potts and K. Roustaei. 2009. “Perspectives on the cultural sequence of Mamasani”. Pages 169-196 in D.T. Potts, K. Roustaei, C.A. Petrie and L.R. Weeks (eds), The Mamasani Archaeological Project Stage 1: The ICHTO/Sydney University Archaeological Research Project in the Mamasani Region, Fars Province, Iran. Oxford: Archaeopress. Weeks, L.R. 2007. “Coals to Newcastle, Copper to Magan? Isotopic Analyses and the Persian Gulf metals trade”. Pages 89-96 in S. LaNiece, D. Hook, and P.T. Craddock, eds., Metals and Mines: Studies in Archaeometallurgy. London: Archetype and the British Museum. Weeks, L.R. and K.D. Collerson. 2005. “Archaeometallurgical Studies”. Pages 309-324 in R. Killick and J. Moon (eds. ), The Early Dilmun Settlement at Saar:. London: London-Bahrain Archaeological Expedition, Institute of Archaeology, UCL. Weeks, L.R. and K.D. Collerson. 2004. “Lead Isotope Analysis”. In L.R. Weeks, Early Metallurgy of the Persian Gulf: Technology, Trade, and the Bronze Age World. Boston: American School of Prehistoric Research and Brill Academic Publishers. Weeks, L.R. 2003. “Prehistoric Metallurgy in the U.A.E. : Bronze Age-Iron Age Transitions”. Pages 115-121 in D.T. Potts (ed. ), Proceedings of the First Archaeological Conference on the U.A.E.. Trident Press. Weeks, L. (ed.) Saruq al-Hadid Archaeological Research Project (SHARP): Interim Report 3. Unpublished report submitted to Dubai Municipality (xii + 690 pages). Weeks, L. (ed.) 2016. Saruq al-Hadid Archaeological Research Project (SHARP): Interim Report 2. Unpublished report submitted to Dubai Municipality (x + 599 pages). Weeks, L. (ed.) 2015. Saruq al-Hadid Archaeological Research Project (SHARP): Interim Report 1. Unpublished report submitted to Dubai Municipality (iv + 1071 pages). Weeks, L. 2017. Review of A. Gürsan-Salzmann, “The New Chronology of the Bronze Age Settlement of Tepe Hissar, Iran”. Ancient Near Eastern Studies 54: 213-214. Weeks, L.R. 2012. Review of S. Pollock, R. Bernbeck und K. Abdi (eds. ), "The 2003 Excavations at Tol-e Baši, Iran: Social Life in a Neolithic Village". Archäologische Mitteilungen aus Iran und Turan 44: 343-44. Weeks, L.R. 2010. Review of A. Alizadeh, "Chogha Mish Volume 2: The Development of a Prehistoric Regional Center in Lowland Susiana, Southwestern Iran. Final Report on the Last Six Seasons of Excavations, 1972–1978." Archäologische Mitteilungen aus Iran und Turan 42: 309-313. Weeks, L.R. 2009. Review of K. Kaniuth, "Metallobjekte der Bronzezeit aus Nordbaktrien". Prähistorische Zeitschrift 84/1: 121-122. Weeks, L.R., 2001. Review of S. Ulm and J. Read, "Index of Dates from Archaeological Sites in Queensland". Australian Archaeology 53: 56. Weeks, L., C.M. Cable and K.A. Franke. 2017. Rituals, Technologies and Subsistence in the Desert Margins. Investigating Saruq al-Hadid, Dubai, U.A.E. NEAF Bulletin 59: 1-7. Weeks, L., K.A. Franke and C.M. Cable. 2016. Investigating an Enigmatic Iron Age Metallurgical Site in Southeastern Arabia. The Crucible 92: 8-9. Weeks, L. 2014. Investigating Neolithic Iran: Contributions of the Mamasani Archaeological Project. NEAF Bulletin 57: 10-12.